Looking for a versatile handbag? You just found it. In premium leather with a matte finish, White Stuff's best-selling Issy shape is loved for its cross-body hands-free style. 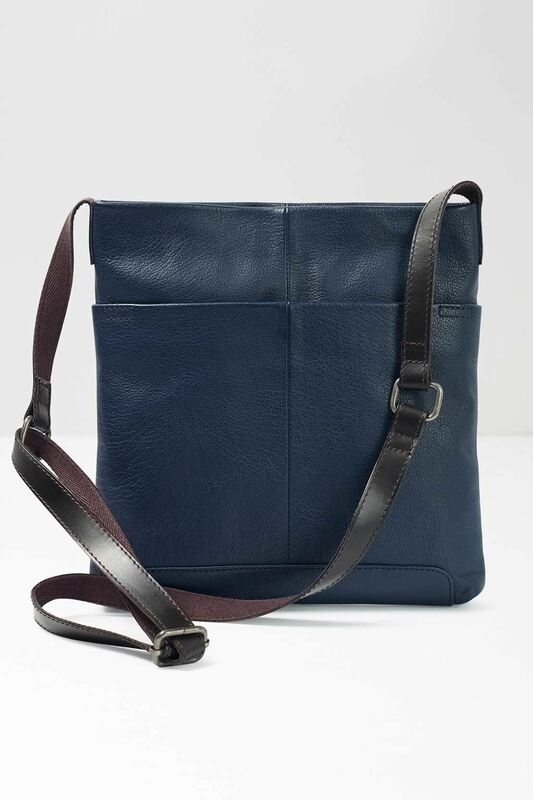 Looking for a versatile handbag? You just found it. In premium leather with a matte finish, White Stuff's best-selling Issy shape is loved for its cross-body hands-free style, panelled leather detailing, pockets galore and secure zipped main compartment. With a fully adjustable strap, this hard wearing bag has been treated with a natural vegetable dye, retaining it's natural texture. Enjoy!